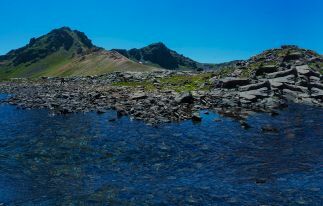 The connection between God and Armenia is unique. 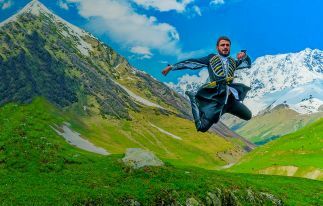 The first in the world to adopt Christianity as the state religion, the country still honors all the ancient Christian customs, traditions and morals. Every year, thousands of believers make a pilgrimage to the Armenian shrines and monasteries in order to become closer to God and find inner harmony. In the following article, we present the traditions of the celebration of the two brightest Christian holidays – the Easter and Palm Sunday. 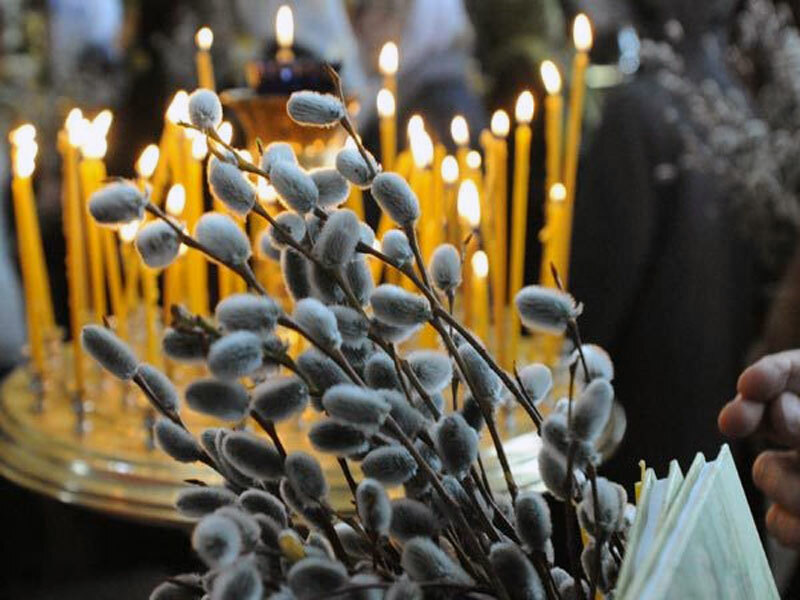 The Armenian Apostolic Church on the last Sunday of Lent celebrates the Christian holiday of Palm Sunday, or Tsakhkazard, which translated from Armenian, literally means “decorated with flowers”. The holiday is celebrated in remembrance of Christ’s triumphal entry to Jerusalem. From this day begins the Holy Week, full of torment and suffering of the Savior for the redemption of the sins of mankind. According to tradition, Jesus entered into Jerusalem, and people from small to large met him with great glee and rejoicing, shouting, “Hosanna”, that means “blessed”. They littered the way of the Lord with their robes, threw flowers, palm and olive branches to his feet, which came to symbolize wisdom, glory, and jubilation. Besides the religious significance, the celebration of Palm Sunday goes back to the beginnings of antiquity, when after retreating winter colds people celebrated the coming of spring, of a new beginning and new life. 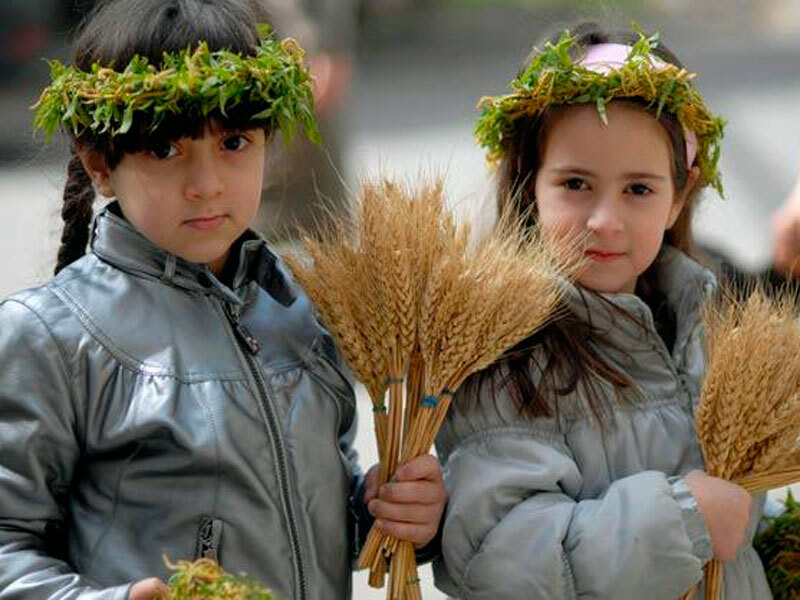 On Palm Sunday, all Armenian churches decorate with willow branches and conduct the divine worship. His Holiness Garegin II, the Catholicos of All Armenians, also proclaimed this day as the day of blessing of children. People in the morning go to church for a blessing. After the holy worship, the consecrated branches are distributed to the faithful. According to tradition, the branches bring into the house peace, abundance, fertility, and grace. After the holiday of Tsakhkazard branches are either carefully stored until next year, or women prepare the Easter decoration of Tree of Life from them. People say, “Blessed are the branches will bring a blessing”. 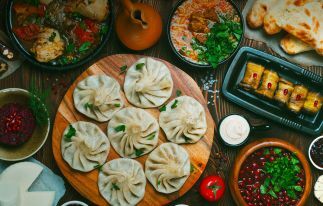 Easter or the feast of the Resurrection of Jesus Christ, which is known in Armenia as Surb Zatik, means getting rid of sins and resumption towards God. Christian churches are celebrating the resurrection of Jesus Christ, because, according to Christian teaching, through the death of Jesus, the mankind received the forgiveness of sins, the resurrection, and eternal life. Easter is one of the brightest and the most solemn holidays of the Armenian Apostolic Church. Easter is a moveable feast, the day of the celebration is not fixed and each year it is different. 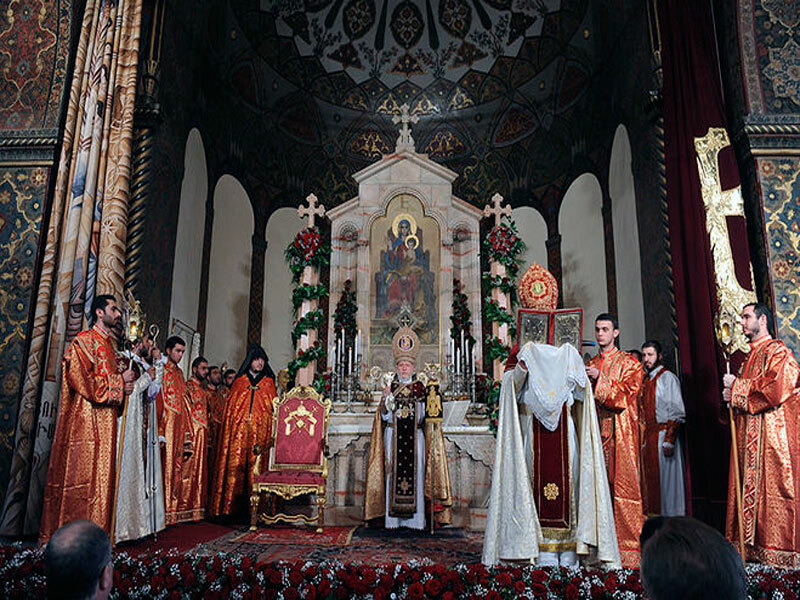 In the Armenian Apostolic Church, the feast of Easter is always celebrated neither earlier nor later than in the interval from 22 March to 26 April (35 days). All believers before Easter observe a forty day fast, so that to purify their body and spirit just like Christ. On Saturday evening, with the end of the sacred liturgy all believers greet each other with the resurrection of Christ, and on Sunday night begin the true celebration of Easter with a solemn liturgy. 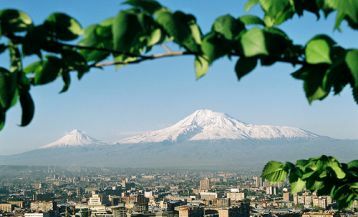 In Armenia, people for centuries celebrated the Easter with great solemnity and richness peculiar to the Armenian people. A number of customs and rituals have survived and they hold sacred in every Armenian family. Armenians are preparing for Easter long before the celebration day. Especially for the holiday housewives plant wheat seeds in a beautiful dish, water it and place in a sunny place to germinate. Seeds usually germinate well for the upcoming holiday, turning into a dense green carpet, which is then neatly decorated with colored eggs. Such a green meadow with red eggs comes to symbolize new life, rebirth and serves as the main decoration of the festive table. It should be noted that the tradition of coloring eggs can be found in every Christian country. However, in Armenia, it is accepted to paint eggs only in red, as the embodiment of the holy blood of the Savior and recompense of reward to his torments in the name of the salvation of the human race. Curious own eggs staining technique: unlike other countries, where the eggs are dyed using a variety of chemical dyes in Armenia eggs made to paint using onion peel. The Armenian egg staining technique is very curious: unlike other countries, where eggs are stained using a variety of chemical dyes, in Armenia eggs are widely accepted to paint using red onion peel. In a special pot, they pour a little water, then add the onion peel, eggs and cook for about an hour. Then eggs should be allowed to cool in a bowl with cold water. They say that the eggs colored with onion skins, are not only useful as are prepared without chemical dyes, but also have a unique taste, especially when combined with the Armenian lavash and tarragon! Have a try as well! The festive table young girls and women also adorn with the heavenly Tree of Life. In a small pot or vase, they put the dried branches of trees than decorate them with variously painted eggs, miniature hens with chickens and other Easter symbols. 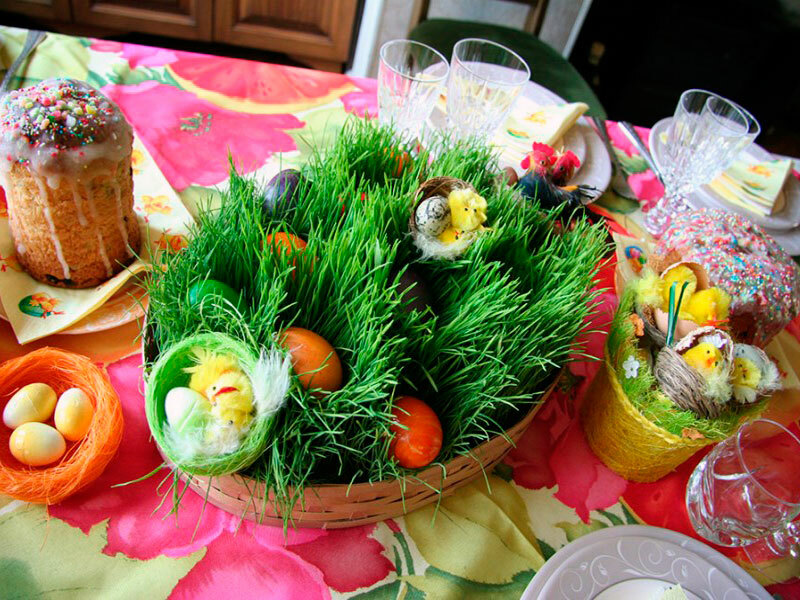 Special attention should be given to the Armenian Easter table where every dish has its own symbol and significance. So, Armenian housewives cook rice with raisins where rice is the symbol of the humanity, and raisins represent all Christians. Housewives put on the holiday table delicious Armenian fish Ishkhan and red wine, which symbolize the flesh and blood of Christ. Centuries ago the celebration of Easter was full of fun, people used to sing, dance and play, but now it’s more of a family event, celebrated at home with close relatives and friends. 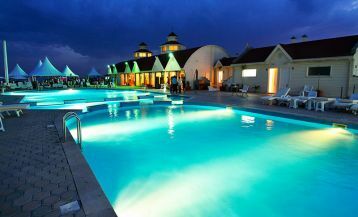 However, during the Easter holidays, Armenia is wrapped with the light atmosphere of the holiday that will not leave anyone indifferent. 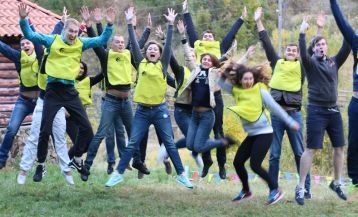 You can find out about other Christian traditions in the country by choosing our Religious Tour to Armenia.